CLEMSON, S.C. — The Tigers held a physical, fast paced two-hour and 20-minute practice on Friday morning before taking the afternoon off for a team outing. The Tigers worked in full pads on the practice field area behind Doug Kingsmore Stadium. Swinney began the practice with the W drill, a form of the PAW drill that places an emphasis on toughness for running backs, and blocking for linemen, wide receivers and defensive backs. 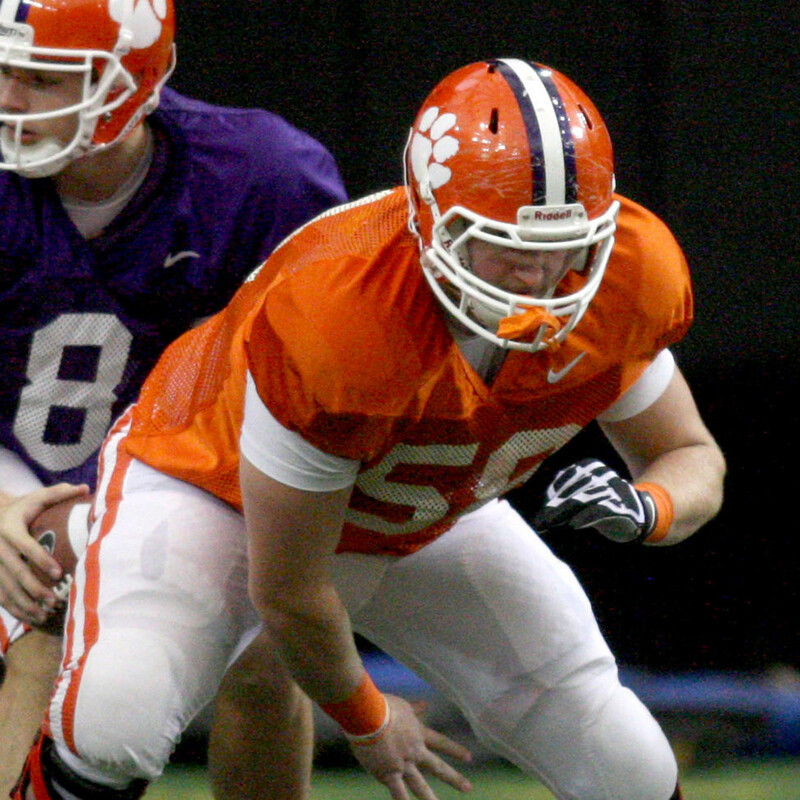 Swinney talked about some personnel and positions that have been affected by injuries. “We lost Korrin Wiggins to a torn ACL. He was not hit on the play, he was just trying to hustle and recover a fumble. It seems like so many torn ACLs are the result of non-contact plays. “Dorian O’Daniel, Travis Blanks and T.J. Burrell will take up the slack at that position with Korrin’s injury. They have been playing well this camp. We are very pleased to see Blanks has done well coming off his injuries. Swinney also gave an update on the special teams. “The kickers are doing well. Right now, Greg Huegel is just a couple of percentage points ahead in the placekicking game. We will work on that a lot tomorrow in terms of kicks and kickoffs. Andy Teasdall is definitely our punter. Jim Brown and Seth Ryan have done well as the snapper and the holder, so we feel good about the overall operation. Wide receiver Mike Williams, who had 1,030 yards last year to lead the team, missed Friday’s practice as he recovers from a hamstring injury. He won’t do much on Saturday, but is expected back in the lineup next week.